Intel Mac 64bit; Mac OS X 10.6.7 or more (10.7 recommended); 2GB of RAM (4GB or more recommended); 750MB of hard drive capacity, along with 5GB for each virtualization machine. Up until recently, VMware and Parallels had an almost same feature set, even appeared to synchronize release. 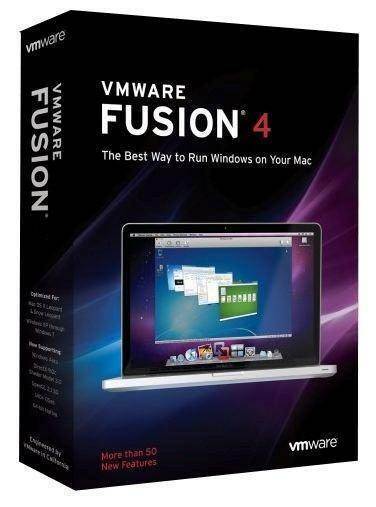 Now, Parallels had achieved the title of Mac’s must-have virtualization software, but Fusion 4.1 owns some distinctive characteristics, which will make it more appealing to other users.Fusion’s core function did not change much in version 4.1. It allows you to run virtual images of x86 and x 64 operating system in OS X. As with Parallels, the focus is on Windows, even though Linux and Unix could also be installed. However, unlike Parallels, VMware does not provide Linux OpenGL graphics accelerator. It is unfortunate, because some new User Interface (UI) effects – such as, Unity of Ubuntu – is cannot be viewed or used. While Parallels allows you to transfer 1 gigabytes of memory to a graphic adapter, Fusion set a default of 256 megabytes in Windows 7. VMware declared that Fusion 4.1 is 2.5 times faster than its predecessors in 3D Graphics are. When running Fear at Max detail level on MacBook Pro 2.4GHz, we reached 22fps of speed. Comparatively, Fusion 3.0 only reached 16fps in Windows XP. There is some love for other operating systems than Windows in the form of ready-made Linux/Unix virtual machine (VM) images, which is downloadable from VMware. VMware’s first change is found in the installation process of Fusion 4.1. Being distinct from its previous versions, which requires administrative privileges in the installation process then scatters many files throughout your system, Fusion 4.1 only asks you to drag the app from its disk image to the “Applications” folder. The Virtual Machine Library window is currently displayed in a grid rather than a vertical list and acting as a focus-launching center for installed virtualization machine. A reminiscent panel of OS X’ System Preferences changes the settings of each virtual machine. It gives you great overview of available settings, including settings that we have long awaited to see: USB device global preferences. By default, every time you plug in a new USB device, the previous version of Fusion would ask you whether you want to connect it to the server (or to a Virtual PC) or not. With multiple virtual machines running in the background or on different desktop areas, this process can quickly become tiresome. It requires you to click through VMware's splashscreen for all new USB drive you plug in. Now, under USB &Bluetooth/Advanced USB Options, you can choose to have any new USB devices always connect to your Mac or VM. The Menu Bar, which appears in full-screen mode, is redesigned. This small black tab can appear on the left, right, on the top or bottom of the screen, providing convenient shortcuts to Settings and other options. We have set an Automatically Hide and Show mode, on the screen’s left edge. Full-screen mode is supported in the new Lion style, and accessed through a diagonal arrow in the top right corner of a VM window. With two screens, the VM expands in the identical desktop space that it created, instead of creating a completely new desktop. We found this more convenient for working; it lets you continue working on the nearby screen of the second monitor. Perhaps the biggest asset of VMware Fusion 4.1 is its ability to create and run virtualized versions of OS X. The main obstacle to this in the past has been Apple’s license, which forbade the virtualization of its client operating systemses. Those terms changed with Lion, paving ways for Parallels first and now Fusion, to support the setup. However, just like Parallels 7.0, graphics acceleration is not supported. This leaves the virtualized operating system feeling quite slow (much of Mac interface is normally accelerated by Quartz Extreme, which offloads screen rendering to GPU). QuickTime and Flash video disappeared from menu, too. In addition, it also lacks gesture controls available through a trackpad. You can use two-finger scrolling, though, an improvement on Parallels’s support. A feature that had matured is Snapshots. It combined the previous best of Apple’s Time Machine with Microsoft’s System Restore to return PC to its earlier state. Fusion 4.1’s virtualized Linux and OS X experience is damaged by incomplete graphics support, but it is otherwise a powerful and dependable virtualization package for Mac. Currently, at half the price of Parallels Desktop 7.0 for Mac, Fusion is a useful upgrade.